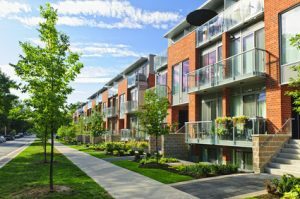 Not just for houses, when choosing a Scarborough duct cleaning company, and you live in a condo, townhouse, apartment or highrise, these can be serviced as well, not just by the landlord or condo committee, but you can call directly to us. Individual units can be serviced just as efficiently and effectively as a whole house or skyscraper can. If you have in-unit washer/dryer, we can service your dryer unit, as well as clean your vents and cold air returns, and even clean your carpets! Ask your building manager or condo committee when the last time the dryer vents and duct vents were cleaned. Ask your health and safety committee at your office when the last time the vents and carpets were cleaned, after all 8 hours every day is a long time to be inhaling whatever is coming from behind the walls, no matter if it is ground floor or a high rise office building, we have professional equipment for it all. Our 8 Point Duct Cleaning Inspection will ensure clean vents and optimize the performance of your heating and cooling systems, saving you money on energy costs. 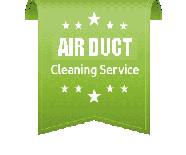 We perform our air duct cleaning services in residences as well as businesses, so you will breathe clean, healthy air at home and at work. With regular duct cleaning, you’ll notice less dust in the air and suffer less from the adverse effects of allergens, pollen and mold building up in your ducts. Need Commercial Duct Cleaning? Of course with our highly professional equipment we can service an entire Scarborough high rise building as well, in duct cleaning, dryer vents, Indoor Air Quality Improvement Procedures, carpet cleaning, boiler systems, HVAC, Humidifiers and more. No need to hassle with multiple companies and technicians, save yourself the time and effort… Let us project manage the cleaning schedule for not just the Scarborough condos or apartments, but high rises and office buildings across Southern Ontario. We have a fleet of vans and crew to accommodate multiple properties simultaneously. Let Canaduct perform all your air duct cleaning in Scarborough.